Exercise is a great for a lot of things. Regular exercise can help reduce stress, allow you to feel better physically and mentally, and can help you stay in shape. But regular exercise can leave your muscles feeling sore. That sore feeling can give you a sense of accomplishment and prove that you pushed yourself hard, but it can also be painful and last for a few days. Massage can help reduce muscle soreness that occurs after exercise by reducing inflammation and stimulating cell repair. The Nest mentions that this cell repair allows for muscle cells to recover from injury and help muscle adapt to increased exercise. A Time article discusses a study that looked at how massage actually works with sore muscles. They found that massage can help reduce the activity of proteins called inflammatory cytokines, which are responsible for inflammation and pain, while increasing the levels of proteins that signal muscles to produce mitochondria, a cell structure that produces energy and help muscles recover. To get this kind of relief and recovery from sore muscles, make an appointment at Amazing Hands Day Spa. We offer many different types of massage, from Swedish to hot stone massage and everything in between. But there are certain massage types that are better for sore muscles than others. Read on to learn more about the types of massage than care relieve sore muscles. A deep tissue massage is great for sore muscles because it targets the deeper layers of muscles, which is where muscle soreness typically begins. The massage therapist will reach deeply into the muscle which can help release scar tissue and relax knots in your muscle that can cause neck and back pain. A deep tissues massage is meant to help with pain and is great for those with stiffness and pain around the neck, shoulders, and back. This is not as relaxing as other massage types but it can help reduce sore muscle pain. Swedish massage is a great massage for relaxation and for less severe muscle pain. Since a Swedish massage doesn’t target the deep muscles, it may not be as beneficial for sore muscles as a deep tissue massage. But it is great for those who want to relax, destress, and for those who experience whole-body pain from muscle soreness and cramping. This massage type can release tension in sore muscles and allows for deep relaxation. A trigger point massage uses the same pressure and depth of a deep tissue massage, but this type of massage focuses on specific areas of pain and tightness. A tight spot in a muscle that may be causing pain in other areas of your body is a trigger point. By targeting these points, people can experience relief to chronic muscle pain. This is also a great massage type for those who get migraines due to muscle tension. A sports massage may seem like the best choice for your muscle pain. This massage type helps increase circulation to help with muscle repair. You may have to stretch and work your muscles during this massage, which can make the massage more beneficial. These are a few of the best massage types to help relieve sore muscles. If you have been experiencing sore muscles from intense workouts or have chronic muscle pain that you can’t get rid of, try one of these massages! You may be surprised how well they work. 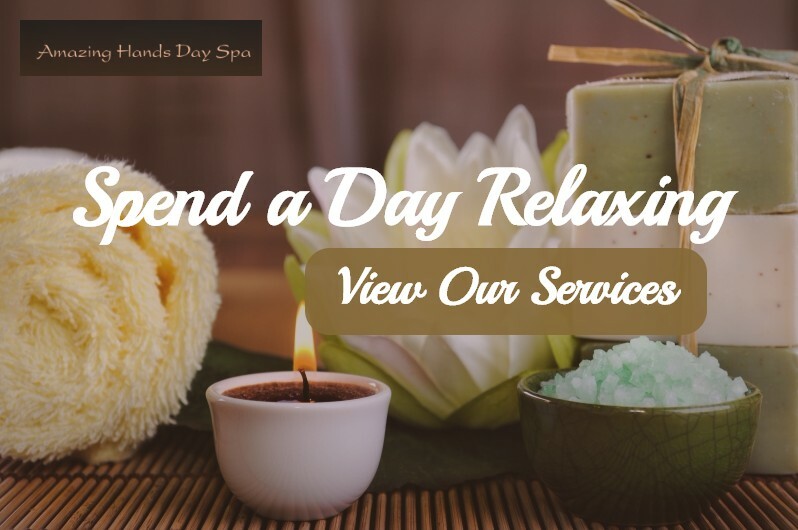 Schedule an appointment at Amazing Hands Day Spa today.